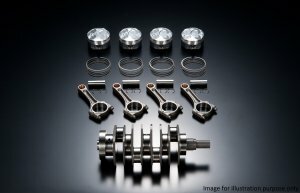 The low compression type FA20 2.1L Capacity Upgrade Kit for high boost tuning. engine to the next level. Now available with Step2 billet I-beam conrods. The Step2 I-beam billet conrods was developed for the TRB-03 to deal with high output and high torque (approx. 700Nm) The buckling strength of the conrod is increased by approx. 30% when compared to conventional forged conrods. The Engine compartment dress-up part; “Fine Tune V Belt.” Latest technology protects vehicles’ conditions while improving engine compartment appearance. 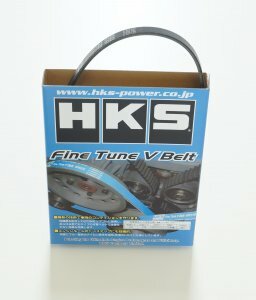 The return of HKS Drag Specification Dampers! Introducing the latest technologies to suit modern drag racing requirements. The MAX IV SP Drag suspension is based on the advanced HIPERMAX SP range and experience and know how gained from the ever-popular MAX II Drag Suspension. maintain sufficient stroke amount and traction. The shock-body length adjustable type is chosen to widen the vehicle height setting range and stroke distribution. This drag suspension guarantees its performance in drag racing!